Completing a custom home project can seem impossible without the right guidance. When it comes to custom home design and building luxury homes in the Castle Pines, Castle Rock, and Douglas Country, CO area, Hallmark Custom Homes, LLC is a top choice. Our team of expert home building contractors will make sure you end up with your dream home. 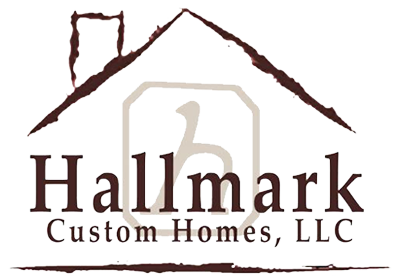 No luxury home project is too big for Hallmark Custom Homes, LLC. We will guide you through every step of the home building process, offering honest advice along the way. We'll be realistic and upfront about your options depending on your budget. We'll also do our best to complete your project in a timely manner. Just one conversation with our home building contractor will diminish your fears and get you excited to start the custom home building process. Contact us now to get the home you've always dreamed of in no time. Build a home that meets your every need. Don't let an architect rewrite your custom home dreams. Breathe new life into your most-used spaces. Has Your Kitchen's Design Fallen Behind the Times? Our owner used to be a CPA - fiscal responsibility and integrity are in his core, and we can help develop a realistic budget for your project. BRINGING HANDS ON BUILDING EXPERIENCE AND 20 PLUS YEARS MANAGING IN THE CORPORATE WORLD TO THE JOBSITE SETS US APART FROM THE COMPETITION. WE'RE SKILLED AT MANAGING THE BUILD PROCESS FROM DIRT TO REALITY. COMMITMENT TO QUALITY AND MEETING THE CLIENTS NEEDS AND EXPECTATIONS ARE CORE COMPETENCIES. Copyright © 2019 Hallmark Custom Homes, LLC, all rights reserved.